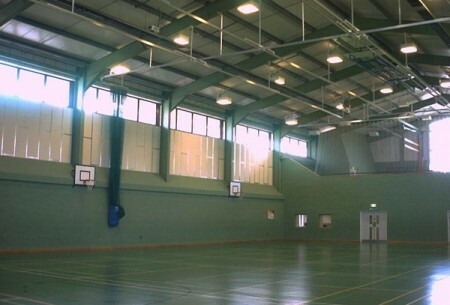 The Sports Hall for King Henry VIII School, Coventry was designed with our Joint Venture Partner Richard S Baily. The brief was to provide a hall suitable for indoor hockey, badminton and cricket with a climbing wall facility. 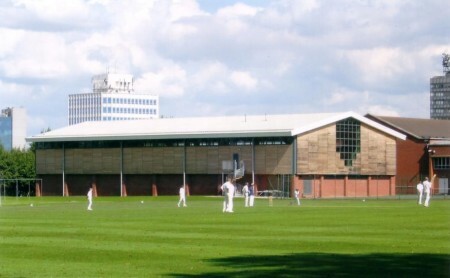 In addition a gymnasium with facilities for dance was to be included together with appropriate changing rooms, showers and toilet accommodation. The design continues the main sports hall roof over the changing area and locates the gymnasium on the mezzanine created above. The school is in a Conservation Area and the materials used in the building are facing brickwork to match the existing school buildings with green oak boarding above door height and a composite metal roof. We have also worked at King Henry VIII School on a new Art Department, CDT Department, and Sixth Form Centre and have carried out an Access Audit. Consultants: Osbornes QS; F W Haywood Structural Engineers; Malcolm Lamb Associates Building Services; Dibble & Associates Acoustics.